Ibrahim Maalouf in Montreal or Quebec City? Inform me about the next events for Ibrahim Maalouf. Enroll yourself to our priority waiting list for Ibrahim Maalouf to be alerted when new tickets are available. Filling this form doesn't engage you to any purchase. The trumpeter Ibrahim Maalouf is going to be at the Astral of Montreal on saturday may 7th during the Jazz à l'année event. 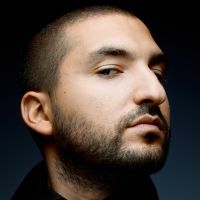 Of Lebanese origin, Ibrahim Maalouf is the only trumpeter in the world to play arabian music with is four trumpet tones, who was invented in the sixties by his father, the trumpeter Nassim Maalouf. The franco-lebanese artist has collaborated with more than 30 albums, including If on a Winter's Night from Sting, Ce que l'on sème from Tryo and Pièce montée des grands jours from Thomas Fersen.